Well, I must admit, this was a home run, both in terms of speed and taste. We were racing to make the Thanksgiving veggies and get to our special holiday meal at my sister-in-law’s home. I was planning to make another dish, but in our rush, this one came together more quickly, so we went with it. Upon trying it, everyone said they loved it, even John, and EVEN my two year old! The dressing is walnut, parsley, olive oil, lemon, garlic, miso and white balsamic. 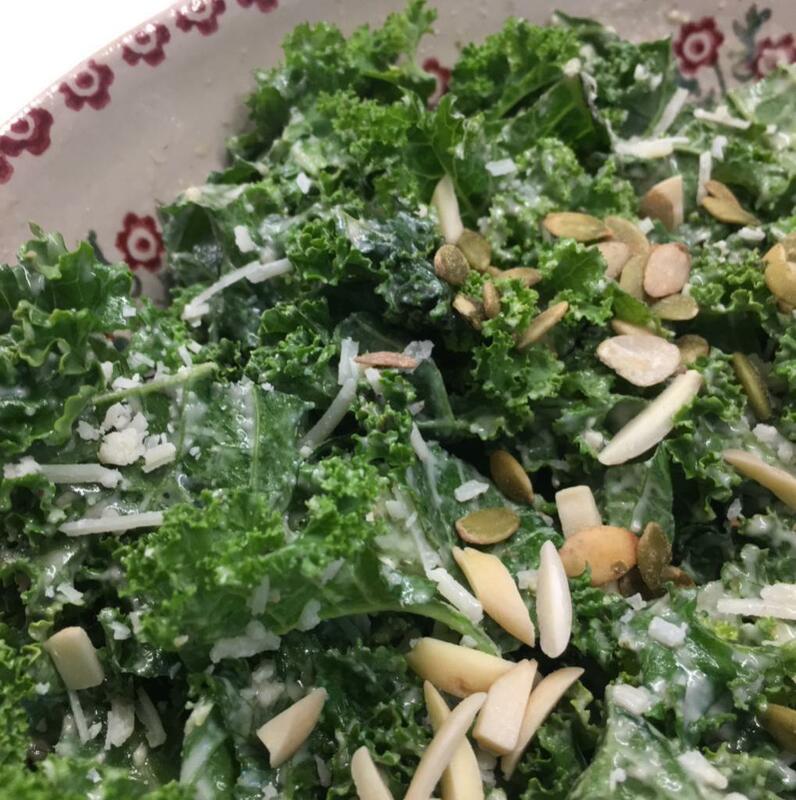 I used the common curly green kale, massaged the dressing in and topped it with a few crunchy cruton substitutes: slivered almonds and pumpkin seeds. You can also sprinkle in some parmesan cheese, if you’d like. Remove especially large stems of kale. Place kale in large bowl. Blend dressing ingredients in a good quality blender. Pour desired amount over kale and massage into kale with hands. 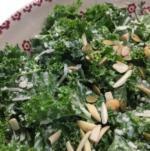 Can be made a couple of hours or more ahead of time, if desired, to allow the dressing to soften the kale. Mix in a little parmesan, if desired. Top with slivered almonds, toasted pumpkin seeds, roasted chickpeas, or any crunchy crouton substitute.